Brixton Hill’s newest restaurant opens its doors next week – The Clink in Brixton Prison! The restaurant will be situated in the three-storey octagonal ‘Regency Roundhouse’, the 1819 former Governor’s home, which is Grade II listed. The 100-seat restaurant is on the ground floor with meeting rooms above. As well as an opportunity to eat fine food in the prison – already home to the Bad Boys’ Bakery – this is a chance for residents to understand the work of the prison in the rehabilitation of offenders and to see the otherwise hidden old buildings. The Clink Restaurant is now taking online table reservations for lunchtime bookings and meeting room hire available from Thursday 27 February 2014 onwards at www.theclinkrestaurant.com/restaurants/book-now. Reservations will follow the same strict approval process as operated at The Clink Restaurant at HMP High Down in Surrey due to the restaurant being located in the heart of the prison. The café is part of a five-step programme run by the Clink Charity to educate and equip prisoners with the skills to take up employment on their release. 75% of prisoners who leave prison without employment secured reoffend within five years. The Clink Charity believes that through the training offered in its restaurants, reoffending is dramatically reduced and can be seen in the existing Clink Restaurants’ 2011 reoffending rate of 12.5% following one full year of release. This is a huge decrease from the national reoffending rate of 47%. Independently examined 2012 statistics for both restaurants will be available in early 2014. To find out more about The Clink Charity and its training restaurants and to find out how to get involved, please visit www.theclinkcharity.org. 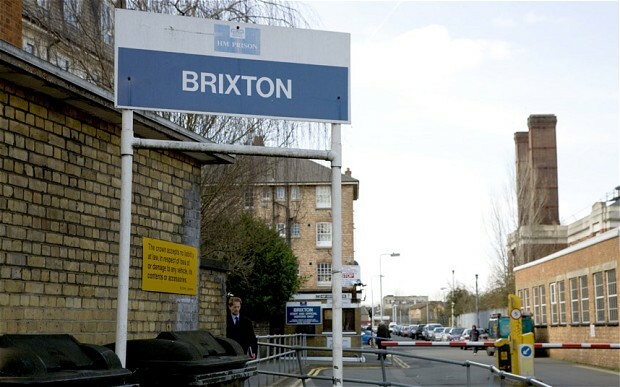 This entry was posted in Blog and tagged Brixton Prison, Jebb Avenue, restaurants and bars by Martin Tiedemann. Bookmark the permalink.